A landlocked nation in the Horn of Africa, Ethiopia Tours offer travellers the opportunity to experience some of the oldest and most important archaeological sites on the planet charting the history of human civilisation along the Great Rift Valley through to the rock-cut Christian churches of the 12th and 13th Centuries. Rich with ancient culture, diverse natural landscapes and fantastic natural scenery, Ethiopia Travel should be on everybody’s must-see travel destination list. Ethiopian tourism and Ethiopia Tours have begun to increase in recent years due to the attraction of its many and awe-inspiring tourist destinations. From Lake Tana, considered to be the source of the Blue Nile and Ethiopia's largest lake, to the Gelada monkeys found amongst the deep valleys and a high plateaus of Simien Mountains National Park, Ethiopia Travel will uncover a country of wonder for every visitor. 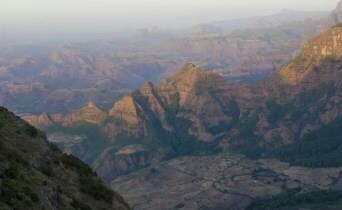 Eclipse tours offer a range of thrilling adventures throughout the rich historical north of Ethiopia. The north is full of historical sites, scenic beauty, and wonderful culture and tradition stretching back 3000 years and even further to the dawn of human civilisation. You can begin your exploration in Addis Ababa where your journey starts with Ethiopia's rich ethnic diversity. Visit the stunning museums throughout the city and then move into the great imperial city of Fasilidas – Gondar. From there you can travel back to the time of the Crusades and to see Lalibela and visit the stunning rock-cut churches that date back to the 12th and 13th centuries. Wind your way through the northern scenic sites and visit the country’s largest lake. Lake Tana, with its mystical island monasteries, will thrill and excite. Take your time breathing in the spectacular scenery and experience the rich wildlife sightings throughout the Simien Mountain National Park. 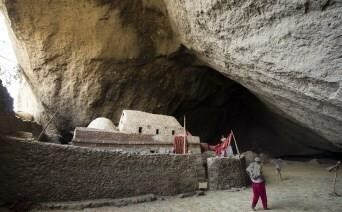 Learn the stories of ancient Africa with a tour or two of one of the oldest countries on the great red continent.